What happens when you make it to adulthood before finding out you're autistic? As A.J. Odasso writes in this anthology: "You spend a lot of time wondering what's wrong without ever knowing why." 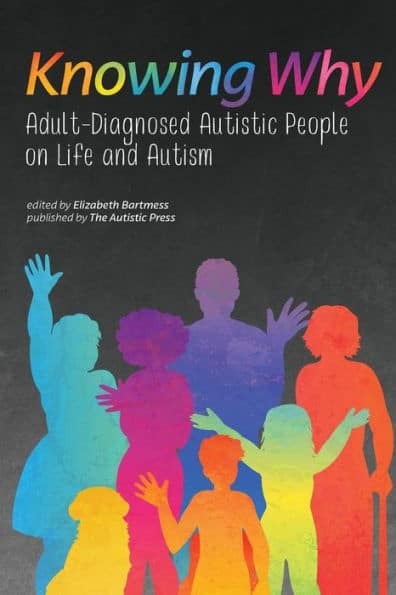 This anthology includes essays from a diverse group of adult-diagnosed autistic people. Our essays reflect the value of knowing why—why we are different from so many other people, why it can be so hard to do things others can take for granted, and why there is often such a mismatch between others' treatment of us and our own needs, skills, and experiences. Essay topics include recovering from burnout, exploring our passions and interests, and coping with sensory overload, especially in social situations. If you know you're autistic, are beginning to wonder, share similarities with autistic people, or want to support an adult autistic friend or family member—or if you simply want to know why it's so important that autistic adults know we're autistic—this book is for you.